The hole is too deep for the Bears to win the NFC North this year, but they just might have the best team in the division. The Bears are like the 2015 Detroit Lions in that the Lions were probably the best team in the division in the second half of last year, but their 1-7 start prevented them from making any moves. The sky was falling until they finished 6-2 to save coach Jim Caldwell — and possibly quarterback Matthew Stafford’s — job. The Bears are in the same situation with their team, their coach and their quarterback. Like last year, there is no dominant team in the NFC North. I’m not even sure there is a good team. They’re all hovering around .500, which is likely where the Bears would be if Jay Cutler hadn’t missed most of the season. 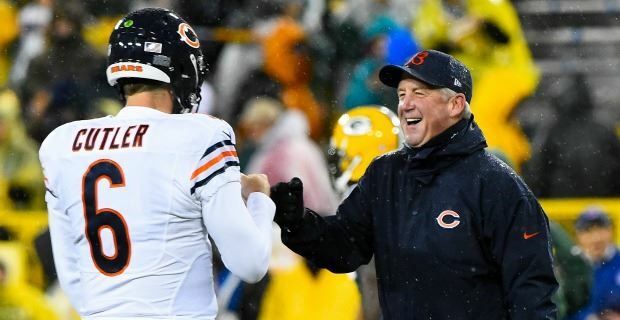 They almost certainly won’t be able to get back in the playoff hunt, but the Bears just might be able to have a significant impact on who gets in. Gave the Bears win against the Lions a second look. Had three thoughts. #1. 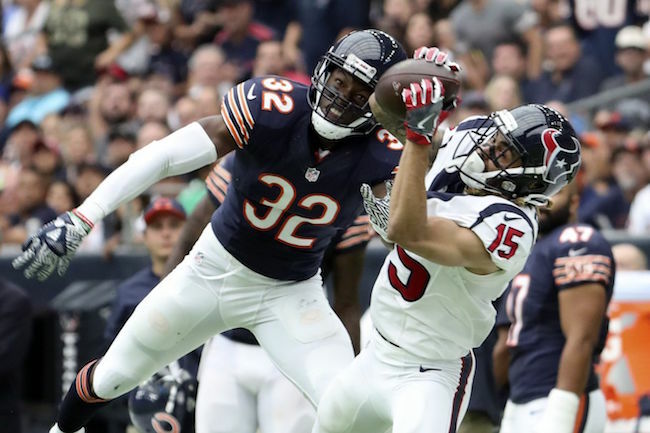 Bears have to be optimistic about their young, developing cornerbacks. And a lot of that credit goes to secondary coach Ed Donatell. Bryce Callahan looks like he might be the long-term answer at nickel and Deiondre’ Hall continues to flash on tape. Why Hall wouldn’t be starting now over Glenn is beyond me. #2. Adam Hoge Tweeted this: “My highest #Bears grade through the 1st quarter of the season: Josh Sitton. What a huge addition. Easy Pro Bowl selection right now.” Couldn’t agree more, though he’s not getting Pro Bowl votes. Sitton was dominant up front for the Bears on Sunday. While Cody Whitehair is still going through growing pains at center (but is way better than many think), the middle of the Bears offensive line is finding their rhythm. #3. The biggest disappointment of the first quarter is Willie Young. For those who love the preseason, Young looked poised for a big season as a pass rusher. But he’s been a non-factor. And with Leonard Floyd being used far more in coverage, Lamarr Houston in the hospital and Pernell McPhee out a few more weeks, the Bears need Young to get to the quarterback. He hasn’t been close. The word of the day is perspective. I like to think I’m as passionate a Bears fan as there is. I typically get nervous about the Sunday games on Friday and, when the Bears have a performance like they did against Houston, it ticks me off until the next Wednesday. But none of my common symptoms were there this week. The reason is simple. The day after the Bears played their opener, my wife was scheduled to be induced and we welcomed the world’s newest Bears fan on Tuesday. The Bears didn’t mean much to me last week and they don’t this week and I suppose that’s how it should be. But what happened last week shouldn’t mean much to you either. Just like the preseason, there’s a ton of instant reaction. But historically it hasn’t proven to be an indication of things to come. Surely everyone remembers last season when the Rams beat the Seahawks and the 49ers thumped the Vikings? There were three playoff teams that lost to non-playoff teams last year and it seems to happen every year. Most of the teams in the league are still figuring out who they are the first three weeks of the season. The Texans seem better than I thought (mostly because of Will Fuller) and the Bears have work to do. We knew the Bears wouldn’t be a finished product coming in. But what happened in Week 1 shouldn’t change your opinion of what kind of team the Bears have this year. While I’m a big believer in the importance of winning in the trenches, the biggest area in which the Bears were out-classed Sunday was on the sidelines. John Fox single-handily cost the Bears a minimum of 11 points by not challenging two easy plays. When the Bears were fighting with themselves, I thought it was annoying. Now that we’re seeing them get one of the most disciplined teams in the NFL to lose its cool, I think the Bears just might be developing an identity. The Bears make it pretty difficult not to get in scraps. The Bears are going to be scrappy, just like the defenses Fox built in Carolina and Denver. They’re going to push the envelope and they’re going to frustrate their opponents. And it just might be great. There is a thin line to walk. 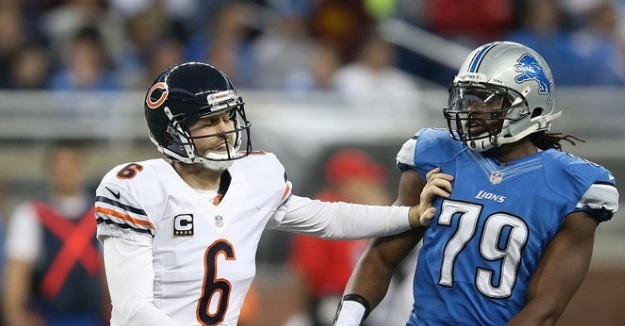 The Bears certainly don’t want to be known as a “dirty” team like Jim Schwartz’s Lions were. There certainly is a point where the personal foul penalties get to be too much, but if they can continue to be aggressive and scrappy, they’re going to be the team nobody wants to play. If they keep adding talent, they’re going to be the team hardly anyone can beat. How Ryan Pace handles Alshon Jeffery will be interesting. He’s a difference maker on the field but he just never seems to be on the field. Can you really pay a receiver elite money when he is only out there ten games a season? Offensive line is climbing the ladder of concern every week. Too many penalties and three of the five positions have been legitimately poor for several weeks. All the skill talent in the world won’t make a difference in 2016 if Bears can’t block em up front. Jay Cutler’s season has stalled with the declining line play. But even when he’s had time to throw, there’s nowhere to go with the ball. No, the receivers are not getting open. But can’t Adam Gase create some easy non-bubble screen throws to move the ball? 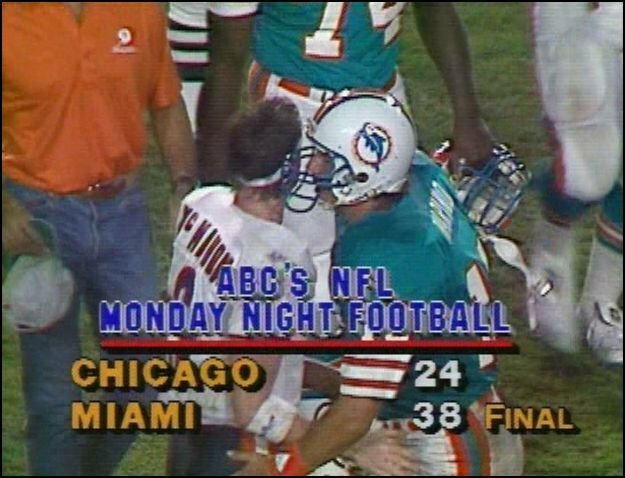 I keep hearing how effective Gase’s system has been. I haven’t a clue what that system entails. Poll: Who is Most Likely to Be in 2016 Starting Lineup? Is anyone convinced Jordan Mills will be the starting right tackle after Labor Day? Might be interesting to see who plays well at the tackle spot once the starters have left the field, hopefully after 3 plays. Is this Shea McClellin stuff real? Injuries. Injuries are the only significant element of preseason games. Anybody who tells you otherwise is selling you something. This is a tale of two units. At defensive tackle the Bears have a pair of excellent starters. If Jay Ratliff did not miss time with a concussion who knows how productive a campaign he could be enjoying. But his performance in the first half against the Miami Dolphins was one of the most dominant I’ve seen by a defensive tackle in years. Stephen Paea has endured (and I’m sure it’s pained him) endless criticism on this page alone over the duration of his career but this year he’s been week-in and week-out the Bears most reliable and impacting defensive lineman. It also seems Phil Emery found two solid tackles in the draft. Both Ego Ferguson and Will Sutton, when they’ve gotten on the field, have jumped off the screen and made plays. Are they going to be every down starters in the years to come? I wouldn’t bet against it. Evidence the defensive tackles have been the Bears most improved unit? A year ago the Bears ranked 32nd in the league against the run allowing 161.4 yards per game. This year they are ranked 13th, allowing only 110.1 per. That is a massive turnaround and it sure can’t be credited to what’s happening behind them. “Our thoughts about defensive players is to get the toughest, most aggressive, instinctive players that have a little bit of an old-school mentality, a ‘Bear’ mentality, and we certainly feel Willie has those attributes,” said Bears general manager Phil Emery. “(It’s) another positive step in improving our roster to the point where we can contend and win a championship. What do you think was the first comment listed below this post? Turns out this johns character was quite wrong with his assessment of Phil Emery’s signature move of the 2014 offseason. Young is far from OK. To this point in the campaign he’s been the league’s most preeminent sack man. And Corey Wootton? Rumors have it he’s on the Minnesota Vikings.